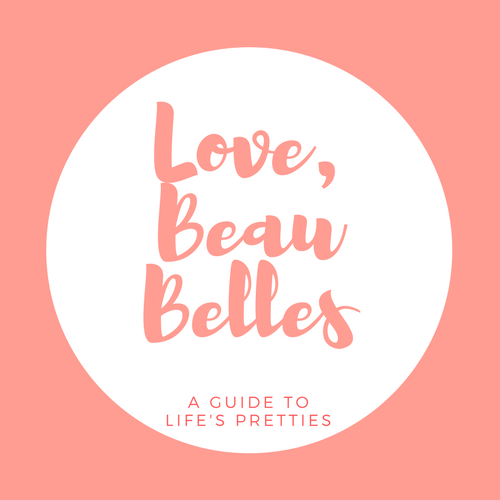 Banila Co. stands for Korean-style makeup which is very distinct compared to the Western look and feel. Want that quintessential #LitfromWithin look? Look no further! Our prestige quality line helps you achieve that natural, radiant, and flawless finish that highlights your most endearing features. 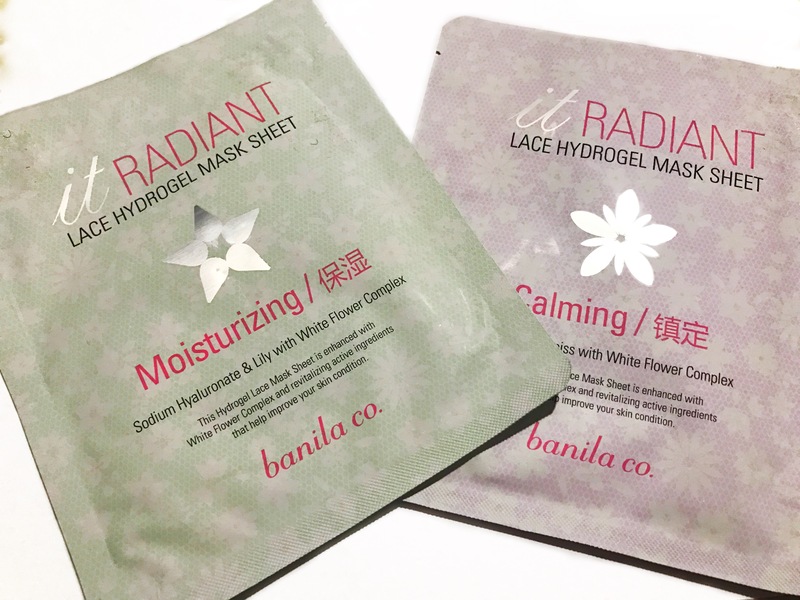 Sheet masks are a staple in Korean skincare routines, but it can be a struggle finding which kinds and which brands will best suit your skin. 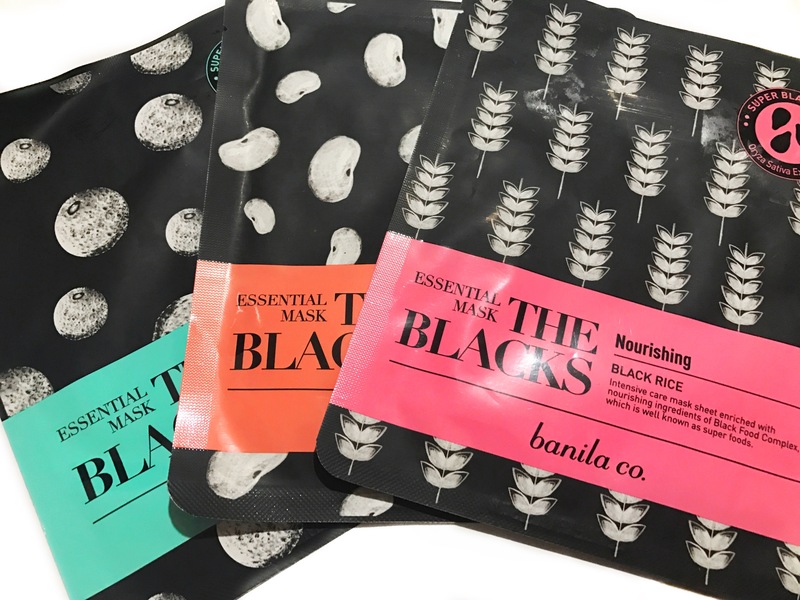 We visited Banila Co. a while back and only got to trying their masks recently, so we’re compiling some of their mask lines and giving them mini reviews below. 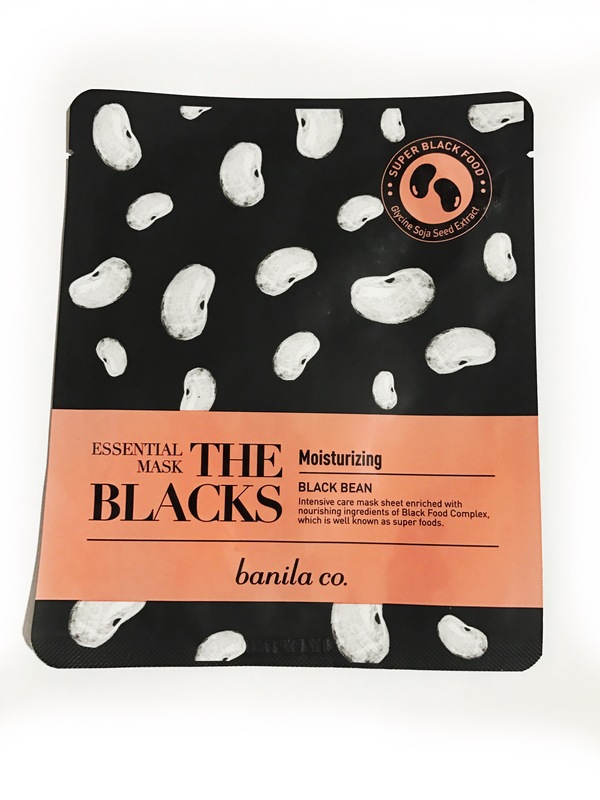 Purifying Charcoal ingredient formulated in the mask sheet filters out skin impurities while Black Food Complex supplies distressed skin with full nourishment to skin. Intensive care mask sheet enriched with nourishing ingredients of Black Food Complex which is well known as super foods. 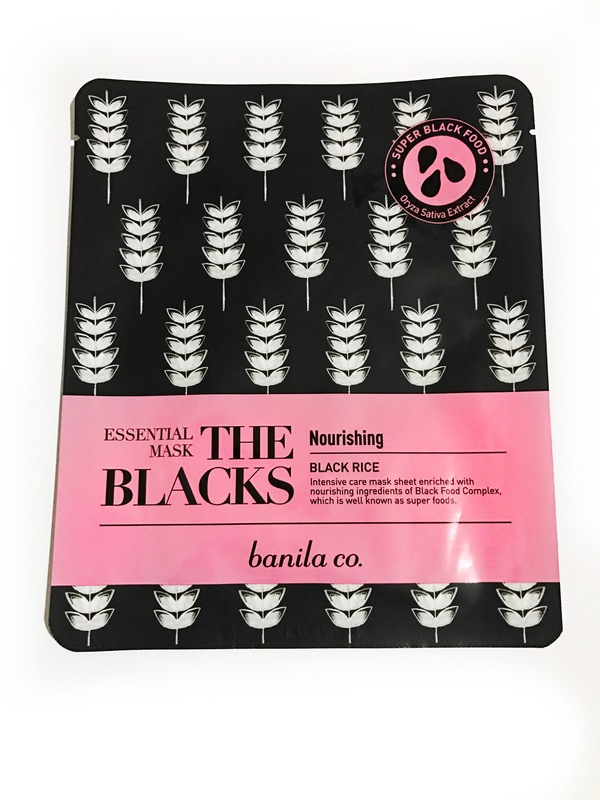 These sheet masks are part of The Blacks line that Banila Co. has which basically promotes the nourishment of skin through black superfoods. 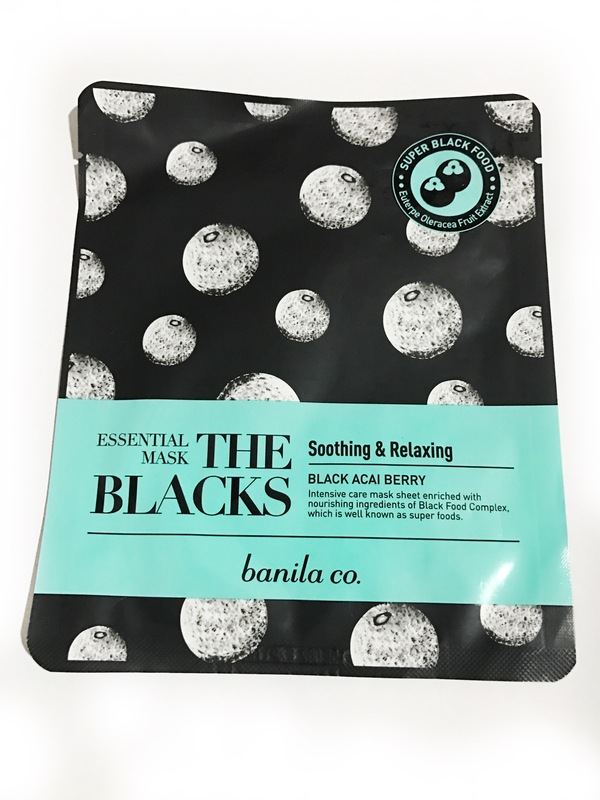 There are five different sheet masks under the Blacks line, but there were only three in stock at the time of our visit to Banila Co., so we only managed to get the nourishing, moisturizing, and soothing & relaxing. Among all the masks I’ve tried from Banila Co., I have to say that I liked this line best. It smells good, provides a nice, soothing and cooling sensation to the skin, and gives you a noticeably brighter complexion afterwards. The mask fits well on my face, although the nose area is a little short, and the mask is soaked through with a lot of essence. After using all three though, I noticed that there was a minor difference with the cut of one of the masks where the area in between the nose and the lips was a little thicker and made it slightly hard to breathe. It wasn’t an issue though after being adjusted accordingly. After usage, you have to pat the essence in or wipe it off because it doesn’t fully absorb, but aside from that, this would be one of those masks you’d find yourself reaching for when your skin needs a quick pick-me-up. 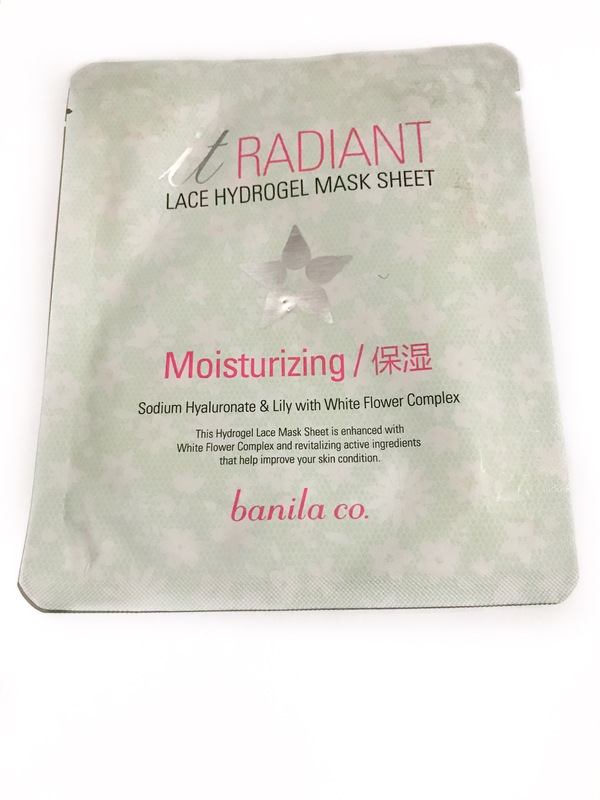 The It Radiant Lace Hydrogel sheet masks contain White Flower Complex and other natural ingredients that help brighten up the skin while providing it with enough moisture to keep it hydrated. Each mask is designed with an intricate lace pattern that makes it look appealing! 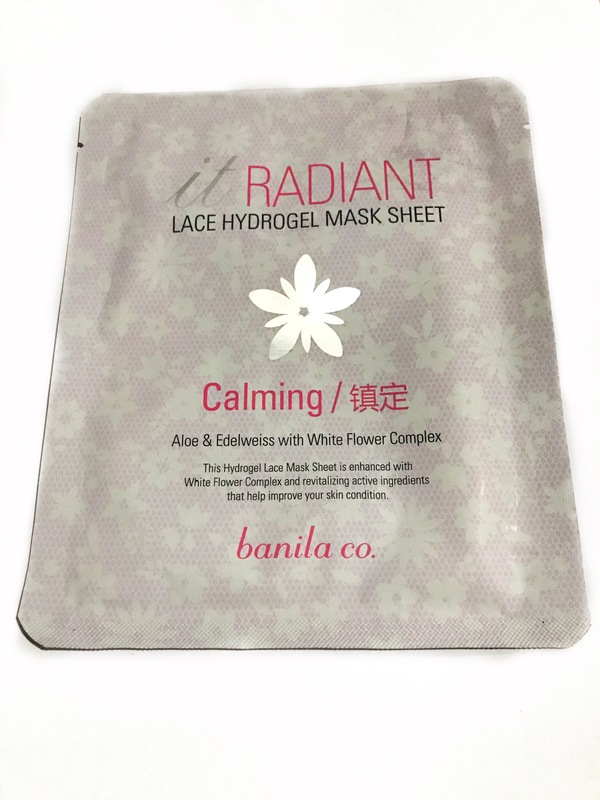 These sheet masks are part of the It Radiant line and are crafted to both look appealing and enable the product to absorb well into the skin. 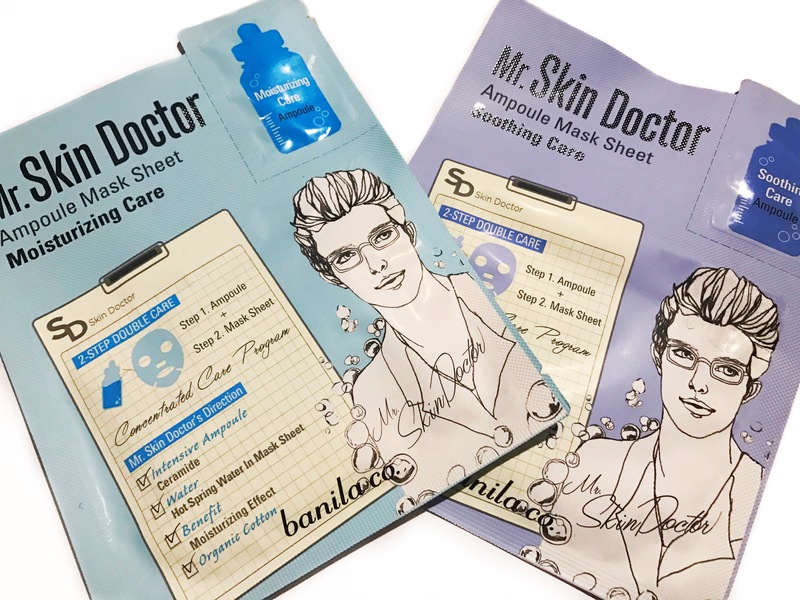 There are five different sheet masks, one eyepatch, and a variety of other skincare products within this line, but once again, the Banila Co. branch we visited only carried two of the five sheet masks. I was very excited to try this out, mainly because it looked very pretty and promised a great sheet mask selfie, but this wasn’t really all that great. This did its job well and absorbed quickly, but the fit was very odd. 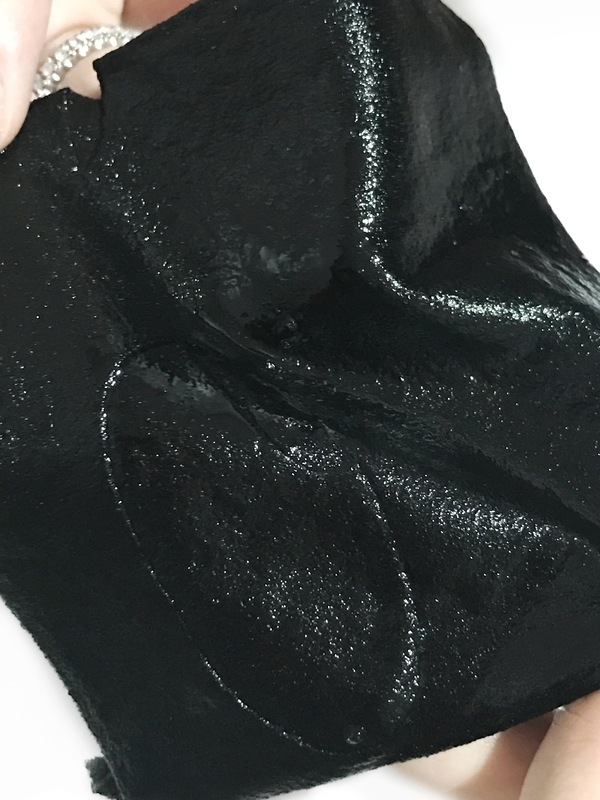 The mask comes in two parts, separated by multiple sheets of plastic, and they can get a little tricky to put on because of their slippery texture. The upper portion was too wide for my face, and the bottom was too short resulting in an awkward gap between the two parts. It’s very cooling when first applied, and thankfully, it doesn’t slide off, so you can still move around easily. It’s also not as delicate as some other gel masks, so you won’t have to worry about it breaking as you place it on your face. It’s not a bad mask by any means, and it certainly is pretty, but I feel like the experience and the results are so-so, especially for the price. The Mr. 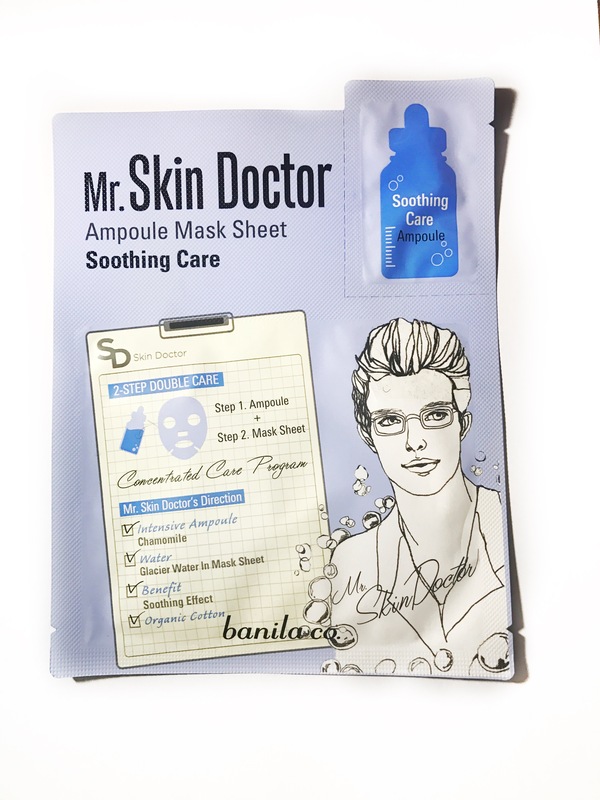 Skin Doctor Ampoule sheet masks come with a small sachet containing a special ampoule that you apply to your skin before using the mask. This gives your skin a double-action treatment which maximizes its moisturizing effect. These masks are infused with different water types such as glacier, deep sea or hot spring water which offers various skin benefits. 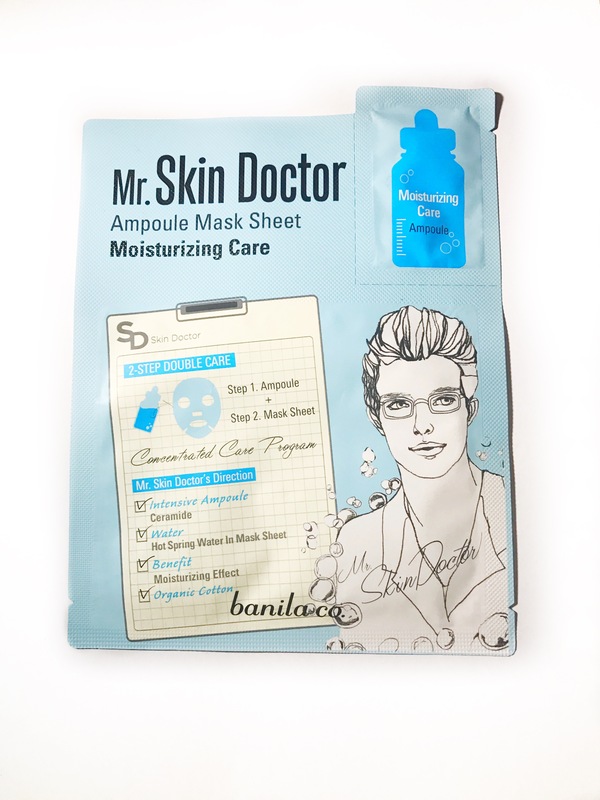 The mask’s cotton sheet is made out of organic and delicate material that suits even the most sensitive skin. Once again, they didn’t have all the face masks, so :((. The concept for these masks is actually really interesting because they use the ampoule to moisturize then the mask to hydrate for maximum effectivity. I have to say, I really enjoyed using this mask, and I personally think this is better than the lace mask above. The mask is made from organic cotton, and it so incredibly soft on the skin. You can really feel the difference! This can get a little messy if you’re applying it for the first time, and the sheet is really slippery—slimy, almost—, so I suggest you apply this in the restroom, over the sink. It’s very cooling and soothing, and like most face masks do, these make your skin feel really soft the next morning. I enjoyed the masks a lot and would definitely recommend them.